Cigar smoking maintains the same dangers as smoking cigarettes, but with a high dose of tobacco and harmful chemicals experienced by cigarette smokers. How do cigars differ from cigarettes? Little cigars: similar shape and size as cigarettes with one gram of tobacco. The smoke from these cigars can be inhaled due to a filter. Cigar smoke is also just as, if not more dangerous than cigarette smoke with higher levels of carcinogens, tar and toxins. The smoke is a health risk and can cause several cancers and lung disease with risks increasing with the frequency and time spend smoking cigars. Cigar smokers have a lower risk of lung disease that cigarette smokers as they do not inhale the smoke, but they still expose themselves to carcinogens absorbed in saliva. What liability does the manufacturer hold? Before the federal government mandated required warning labels to be placed on the packages of tobacco products, there was little to no acknowledgement of the potential health risks of smoking on the part of the manufacturer. 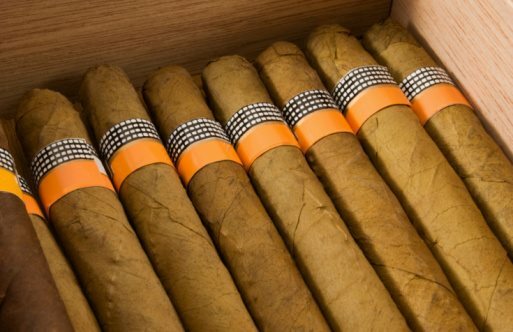 As result some cigar smokers are entitled to damages to cover medical expenses, lost wages as well as pain and suffering caused by cigar addiction. The smoker must prove that when he started smoking cigars, he had no knowledge of the health risks and the manufacturer engaged in either misleading or false advertising that led the individual to believe that there were no dangers to smoking. A consultation with an attorney will help you determine if you are entitled to damages or a share in a class action lawsuit against cigar manufacturers.